In a world increasingly filled with screens, where does that leave traditional books? One Dubai-based bibliophile believes physical books still have an important role to play. In fact, she’s so convinced she’s invested her own cash in a start-up that encourages people to pick up affordable books. Here in the UAE, sadly not everyone can afford to stock up on new books, with hardbacks in particular often carrying steep price tags. Seeing this gap in the market, Pakistani expat Sidra Jawad created her Reading Hub app. “In a place like Dubai where we can even get our laundry delivered at home, we found that there was barely any platforms where we could order reasonable priced books and get them delivered at home,” she explains. Inspired by the UAE’s Year of Reading in 2016 Jawad decided to fill this void herself. “I looked for ways to connect the readers with the bookshops so that the books could be delivered at home for added convenience. I started working on the app to help support this venture, knowing I had to make it as user friendly as I could,” says the 36-year-old. Book lovers like me either had to go buy books from bookstores which are quite expensive or go to old book shops which are few and far between. The Reading Hub is simple to use. 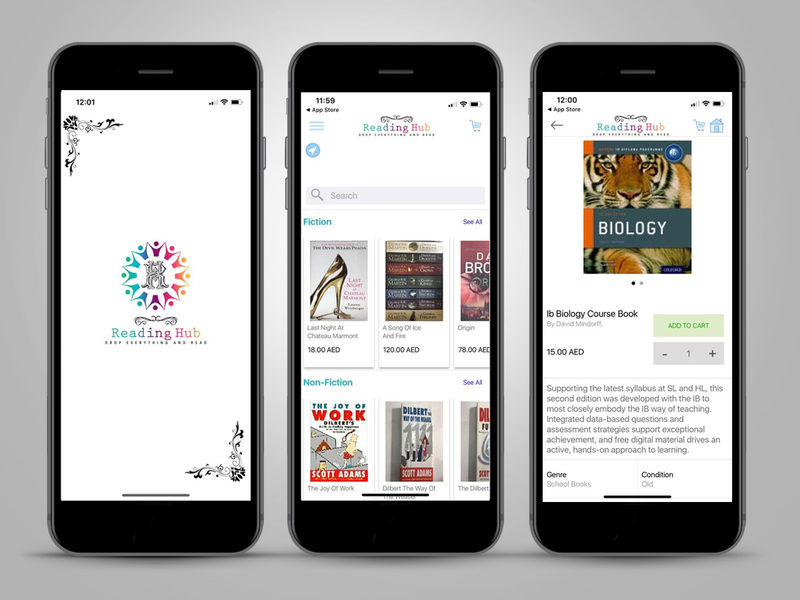 All a customer needs to do is download the app, browse through thousands of pre-loved (good quality second hand) books and place an order with just a click. Books are delivered to the customer and new titles are added every day. “The Reading Hub app is very unique because I believe it’s the first time there is a dedicated app for old books for people in the UAE,” said Sidra. Sidra aims to extend the scope of services from selected areas in Dubai to other parts of the UAE. In the next phase she hopes to build Reading Hub in such a way that people will buy from the app, read the books, and then put them back in the database for selling – becoming a one-stop platform for book lovers. The app founder is passionate about reading and language herself and has a Masters in Applied Linguistics. Jawad admits this new business venture has been a learning curve though. “To tell you the truth, getting an app developed is a lot of hard work and it took months of testing to make it what it is today. This is a self-funded initiative and hence we are finding it difficult to market this product to the target audience. We have been promoting it through word of mouth and partially through digital media.” Jawad also sees potential in events such as the Emirates Airline Festival of Literature as opportunities to raise awareness of her project and share her passion for physical books.